The Net Carb Count helps you count carbs that impact blood sugar. Fiber, sugar alcohols, including glycerin, should be subtracted from the total carbs since they minimally impact blood sugar. The Atkins Diet™ is based on delicious low-carb recipes and whole foods. 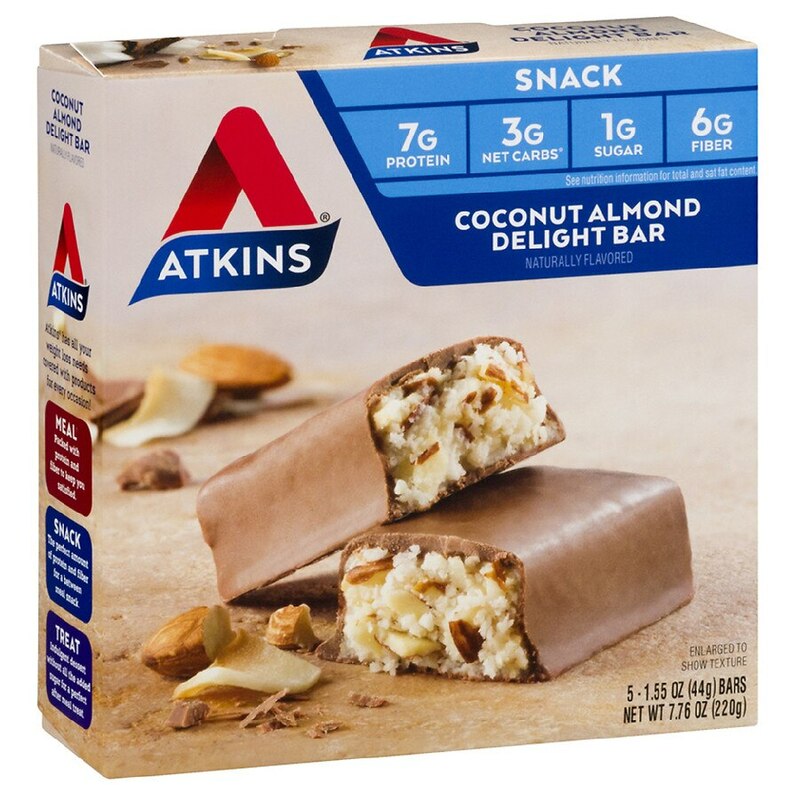 If you are short on time, Atkins provides meal, snack, and treat bars and shakes to keep you satisfied, even when you are on the go. Great as a replacement for breakfast or lunch, or can be used as a super-filling snack. A filling snack or a light meal helps fight hunger in between meals and on the run. A filling snack or a light breakfast helps fight hunger in between meals and on the run. When cravings strike, reach for a treat or dessert without the added sugar. Atkins™ - A powerful life-time approach to successful weight loss and weight management. Packaged in recyclable paperboard made from wind energy and endorsed by the FSC. Contains coconut, almonds, soy, milk, and sulfites. This product is manufactured in a facility that uses peanuts, other nuts, and seeds. 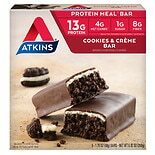 Atkins Advantage Meal Bars Co...1.7 oz.